One of the best ways to get inspired in your retail business is to see merchants like yourself who are killing it. 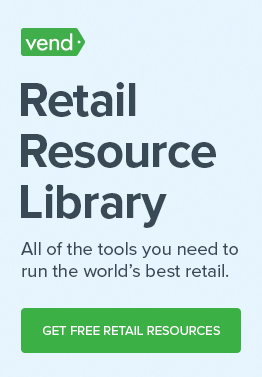 So for this post, we’re putting the spotlight on retailers that are doing a great job at running their stores. We handpicked a number of retailers (mostly SMBs) from various industries and highlighted some their successful business practices in this post. Our hope is for you to leave this page brimming with inspired ideas to implement in your business. Founded by Kelly Franko, Gossamer & Grace Bra Fit Studio (formerly Kelly’s Elite Boutique) in Cortland, OH, originated after Kelly grew tired of watching her mom struggle with finding a good-fitting bra. Gossamer & Grace Bra Fit Studio is more than just a bra store. This boutique has professional Fit Stylists that handpick selections for each client. So, every woman who walks into the store enjoys a curated assortment of products as well as remarkable customer service that can’t be found anywhere else. Solfire is a Brooklyn-based active retail company that launched just a few short years ago. Their goal? To create a strong athleisure apparel brand that brings together individuals who are passionate about fitness. Two things make Solfire successful: first is their solid commitment to producing high-quality products. The company only works with manufacturers that meet their standards to ensure that everything they sell is top notch. Another thing we love is the effort that Solfire exerts to build a community and cultivate relationships with patrons. In their brick-and-mortar store, for examples, they set up a juice and smoothie bar along with a “fitness oasis” — an area for clubs to meet and exercise. The folks at Solfire also gather customer details so they can further engage them. They do this by handing over their iPad POS at checkout, so shoppers can fill in their information. According to Solfire, they have a near-perfect customer engagement rate. Almost 100% of shoppers input their details so Solfire can stay in touch and inform them of happenings in the community. Dresden isn’t your run of the mill eyewear store. The company produces upcycled eyeglasses and sunglasses made from plastic waste and discarded fishing nets, then sells them at affordable rates. In addition to selling great products, Dresden also offers an interesting in-store experience. Unlike other eyewear retailers that sell ready-made stuff on their shelves, Dresden lets shoppers create their own pair of eyeglasses or sunglasses. Starting from just $49, customers can get lenses and frames made up as they wait. They can choose their frame styles and color combinations, which means they can get a pair that’s made just for them. Ponder what you sell beyond your products. For example, at Gossamer & Grace, Kelly doesn’t just sell bras, she sells confidence. Apply the same thinking to your business and use the insights you gain to improve your customer experience. Focus on your community. Think of ways to bring people together in your store. Can you hold classes or events? Perhaps you can set up in-store facilities like what Solfire did with their smoothie bar. Can your incorporate personalization into your business? Is there a way to let customers “build” their own products through mix and match and other tactics? Personalization is growing trend. Consider exploring how you can use it in your business. 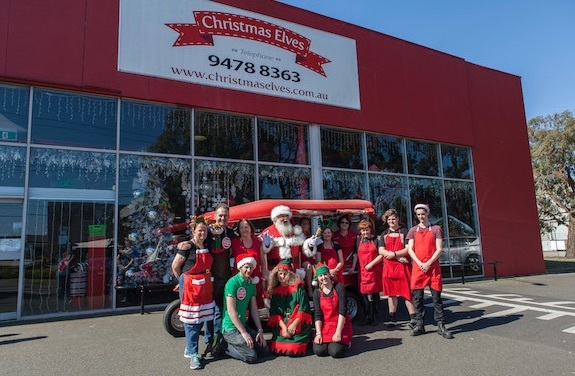 Christmas Elves, as its name clearly states, is a holiday store that sells Christmas trees, lights, decorations, costumes, and more. The store’s owner, Jason McIntyre always loved Christmas, so when the chance to own a holiday store came up, he left his job as a software architect to follow his retail dream. Jason implemented several action steps that led to the growth of Christmas Elves, but the thing we love most is his clever use of retail data and reports. Specifically, he looks closely at his sales velocity — i.e. the speed at which products are selling. That’s when the sales and velocity reports come in, he says. By looking at when sales spike and which products are selling the most, Jason and his team can get a clearer idea of how many units to order. Jason says he looks at sales velocity reports for specific products and their overall categories, and this allows him to figure out what items to order and if there are any related products that he could purchase. MyDIY.ie is your go-to source when it comes to your home DIY needs. Whether you’re looking for power tools, decorating and wood care, or workwear, MyDIY has you covered. According to Alan Grant, owner of MyDIY, his business has experienced 30% year on year growth, and he attributes that success (in part) to smart inventory management. Expanding their product range was one of the top actions that led to their growth, said Alan. “We’ve expanded our range by probably about 40%, but we really haven’t expanded our stockholding because we have to keep our stocks nice and tight,” he shared. Another great practice? The store uses their loyalty program to sell slow-moving products. According to Alan, they offer double or triple loyalty points when shoppers purchase items that the store wants to move. Doing so helps them move inventory without resorting to huge discounts. And since the effort is tied into their loyalty program, shoppers have an incentive to buy and come back. Based in Melbourne, this six-year-old retailer has a brick-and-mortar shop, an ecommerce site and a mobile store that serves as TheSuperCool venue for pop-up events. TheSuperCool is also very in touch with their community and they use social media to drive word of mouth and traffic. “We’ve been in business for nearly six years, and we began as a mobile emporium that went to the people. We had no fixed address and would use social media to keep our fans on their toes with our next location. We’ve been fortunate to be recognized locally and internationally with awards for innovative retailing and visual merchandising,” says co-founder David “Noonie” Nunez. Forecast demand by looking at the speed at which your products are selling. Pay attention to your sales and inventory reports and use the data to make inventory decisions. Do you implement loyalty in your business? If so, use your loyalty program to help move lingering stock. Strive to support other businesses that stand for something. It could prove to be a smart move for your company, as shoppers increasingly want to align themselves with businesses that focus on being ethical and real. Founded in 2002, Sitka was started by two friends shaping surfboards out of their garage. The business has grown quite a bit since then, and today, Sitka designs and sells clothes as well as outdoors goods that are sourced in the most environmentally responsible way possible. We love how much passion and purpose goes into each of Sitka’s products. Based in the UK, Rockets & Rascals is a bike emporium and cafe that sells high-quality bikes while serving top-notch coffee. According to Steve Toze, Marketing Director at Rockets & Rascals, their purpose is to share their love of bike riding with the community. Aside from the huge focus on their creating a strong biking community, we love how Rockets & Rascals implements their loyalty program. The retailer uses a simple structure where shoppers earn loyalty whenever they spend money at the store. Best of all, the store doesn’t use physical cards. The entire loyalty program runs on their POS platform and all shoppers need to do to earn and redeem their rewards is to give their name to the cashier. “It’s a wonderful lifesaver for a cold, wet cyclist that’s come in without their wallet,” shares Steve. Be more thoughtful with your product assortments. See to it that each item has a story and purpose. This will help your merchandise stand out. And when shoppers can relate to the stories you tell, they’re more likely to become customers for life. Make it easy for customers to participate in your loyalty program. And if you’re still using physical cards, do yourself (and your patrons) a favor and switch to a digital solution! Grain & Vine’s purpose is to give people a better way to shop for beverages. Their spacious and easy-to-navigate store features a curated assortment of drinks from all around the world. Grain & Vine currently has 10 employees, two New York outlets, and an online shop. Grain & Vine is truly an omnichannel retailer. They sell in-store, online, and on mobile through same-day delivery apps such as Postmates, Minibar, and Drizly. All of their sales channels are tightly integrated, so inventory and product data are synced across all platforms. How do they juggle their POS, ecommerce, and delivery apps? Two words: tight integrations. Grain & Vine takes advantage of the solid integration between Shopify and Vend to ensure that they’re able to stay on top of sales and inventory. The two systems can “talk” to each other and share data in real-time — so when orders come in, Grain & Vine’s inventory is synced across its physical and digital stores. As for the different delivery apps, they use an XML file to sync their inventory with the apps. Collingwood Olive Oil is run by Alex Yuen and Cheryl McMenemy, a husband and wife team based in Ontario, Canada. Founded in May of 2014, they source and sell the freshest extra virgin olive oils, along with a selection of natural balsamic vinegars. Collingwood Olive Oil is all about the customer experience. According to Cheryl, customers can taste any product before buying, and they ensure that their employees are well-trained and are true product experts. Collingwood Olive Oil has won plenty of awards because of this. They’ve earned accolades such as Small Business Owners of the Year, Innovative Business of the Year, Metroland Reader’s Choice: Favorite New Business, and #1 Retail Shopping in Collingwood on TripAdvisor. If you’re selling food and beverages, let your customers experience your products through taste tests. It’s a fun experience! Plus, it will help shoppers find the best product for them, which in turn leads to higher satisfaction! Are you selling on multiple channels? You should. A study of 46,000 shoppers found that 73% have used multiple channels throughout their shopping journeys and those shoppers are more loyal and spend higher amounts in-store and online. Check our in-depth guide (with detailed steps) on how to seamlessly sell online, in-store, and on mobile. Now it’s time to put the spotlight on high tech retail. Here are a couple our favorite electronics stores. LifeLine Repairs is a chain of 20+ stores that provides repairs for electronic devices including smartphones, tablets, and computers. LifeLine’s local expansion strategy is remarkable. With over 20 stores across the US, LifeLine has managed to strike a great balance between brand consistency and localization. According to Kestas Masanauskas, the Chief Operations Officer at LifeLine Repairs, they’re able to achieve consistency by standardizing their processes and equipment. 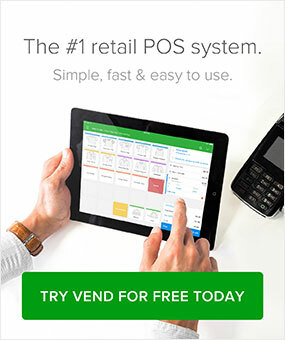 For instance, all of their stores use the same point of sale system (Vend) and their headquarters shares and uploads products to the various locations. They also have standardized procedures and use guidelines and flowcharts to provide information on things like equipment handling, inventory storage, and more. As for their local strategy, Kestas says they do a ton of research when expanding to a new location. Then, Kestas and his team cook up unique outreach initiatives for each market. For example, when they established a new store in Boise, Idaho, the LifeLine Repairs team discovered that the location has an incredibly strong biking community. So to grab their attention, the retailer ran an event where people can borrow bikes for free. Sennheiser is a leading global brand specializing in the design, production, and retail of both consumer and high-fidelity audio products. Sennheiser is known for their amazing concept stores in various parts of the globe, but some of our favorites are the popups that they set up in New York City (one in SoHo and another in the Westfield World Trade Center) in 2016. Both stores allowed New Yorkers to experience Sennheiser sound first hand through their products and innovations. The new SoHo store has been designed to transport visitors sonically and visually: Stepping into the store guests enter via the sound tunnel, which has been carefully engineered to damp external noise levels bit by bit – making the buzz of the city streets outside recede as you go further inside. This transition in sound is complemented by what you see. The tunnel brings visitors into an area where large screens show the company’s core: the Sennheiser logo, a milestone product from the company’s 70-year history and Sennheiser’s vision to shape the future of audio. If you’re running multiple stores (or are planning to), be sure to find the right balance between brand consistency and localization. Check out what LifeLine Repairs is doing and see if you can apply their tactics to your business. Make your store more experiential. Find a way to make people feel like they’re entering a new world when they walk into your shop. We talked about some amazing retail examples in this post, but now we’d love to hear from you. Can you name retailers that are thriving in today’s market? What are some of the things that they’re doing right? Let us know in the comments.